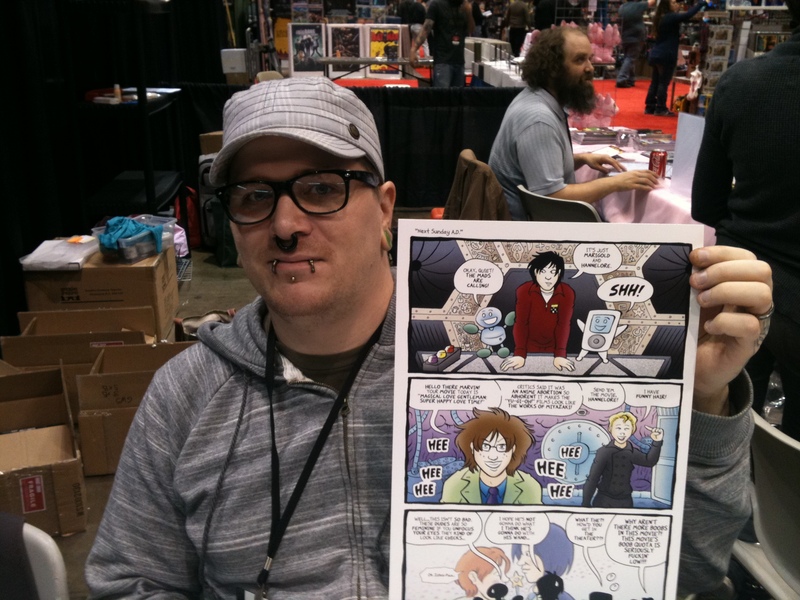 Among the many different prints I was working on when I started the hiatus, I was also working on a secret guest strip submission for “Questionable Content“, which I presented to Jeph Jacques himself at C2E2. …Well, dude just posted it. You can read it here. Thank you SO MUCH Jeph! You have no idea how much I appreciate it! New “Oh Goodie!” comics coming soon! Now if you’ll excuse me I have to begin giggling like a schoolgirl for the next 24 hours.